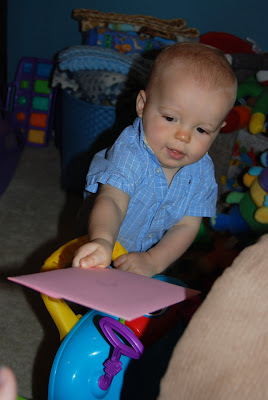 Last Mother's Day was miserable! For those of you that don't remember, I was in the ER. Although I was thrilled to be a Mommy, it wasn't the best Mother's Day. This Mother's Day was much better! Mother's Day started out with me getting to sleep in! Right when I woke, Daddy and Jackson were on their way out for one last thing (fresh flowers). When they returned Jackson was ready to give something to Mommy. First he handed me a card from him all by himself. 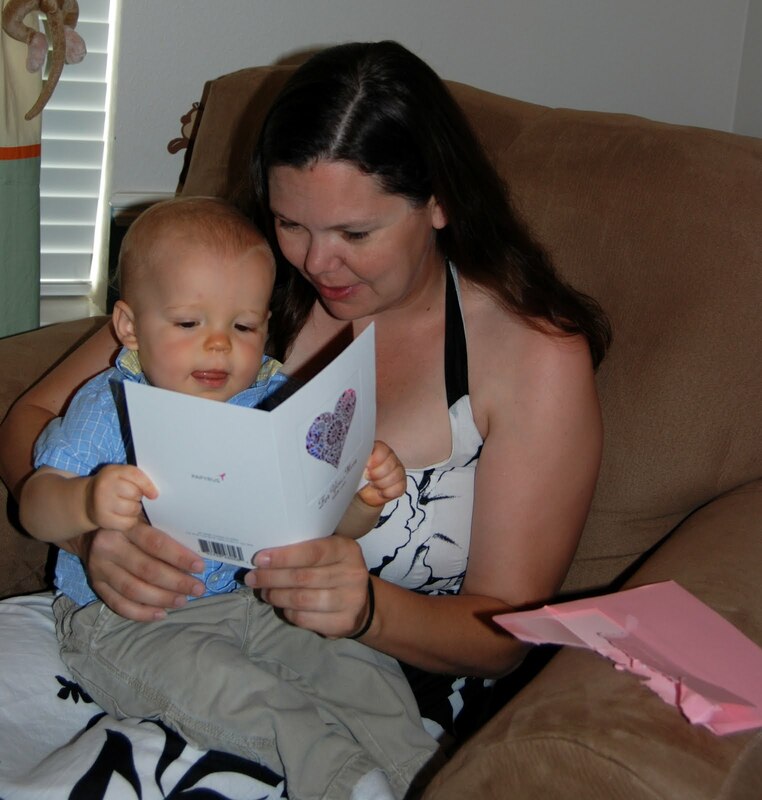 Then, he sat on Mommy's lap to show me the card. In addition to spoiling Mommy with brunch, two flower arrangements, and jewelry Daddy also took Jackson to have a silhouette of his profile made on his first birthday. The pool plans didn't work out because of the weather, but it will still a nice and relaxing day! Being a Mommy is the best thing in the world and I am so lucky to have such a wonderful hubby and son. Love the silhouette! Where did you have that done? 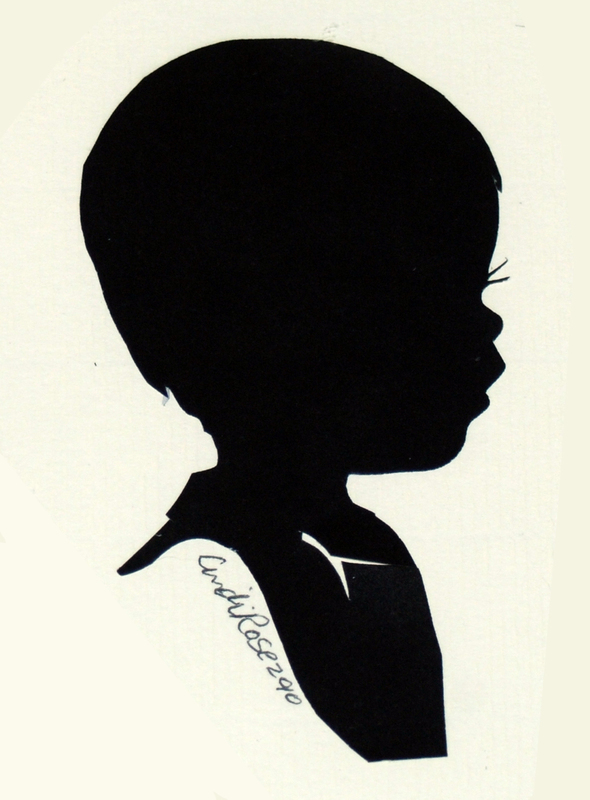 Excellent silhoutte - wonder how long before that idea gets to the UK.